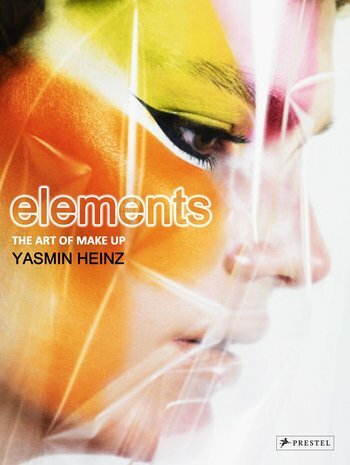 Elements : The art of make-up by Yasmin Heinz, ISBN: 9783791383439 - available from Nationwide Book Distributors Ltd NZ. One of the world’s most renowned make-up artists, Yasmin Heinz works at the cutting edge of fashion. From photo shoots to runway shows and from music videos to advertising, Yasmin's expertise is in demand by photographers, designers, and celebrities alike. This sumptuous volume of her most striking creations is divided into sections that echo the universe’s four elements: earth, air, fire, and water. Chosen from Yasmin's vast archive, and featuring renowned illustrators and artists, the images in this book reveal her extraordinary skills—whether adding contour to a beautiful face, or completely transforming another. Weaving together the best of fashion, beauty, and photography, this irresistible volume shows that make-up can be an exciting form of art.